The past 33 years of my life has been spent protecting fisheries, particularly salmon fisheries, from illegal fishing and also making sure that legitimate anglers are not cheated by those who fish without paying their way. I am very lucky that I have a job where no two days are the same. As you might expect, the year does tend to follow a certain pattern though. Up here in the North East, the salmon fishing season starts in February with the arrival of the larger multi-sea winter fish. Sea trout fishing starts in April. It is our job to check that anglers have their licences. 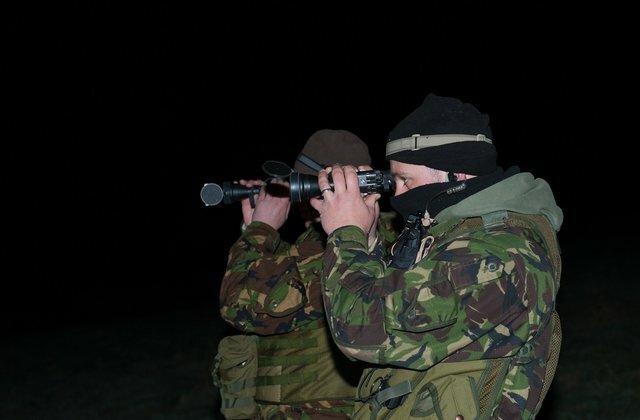 Of course with so many big fish in the river we also get an increase in poaching and often spend long nights out in the cold and wet following up on intelligence gathered to catch offenders. The good news is that the introduction of carcass tags has made it much more difficult for poachers to sell on fish. This means that criminals’ activity has changed so that they are now more about catching fish to order. As a result we also have to keep a vigilant watch on outlets such as markets, hotels and restaurants. 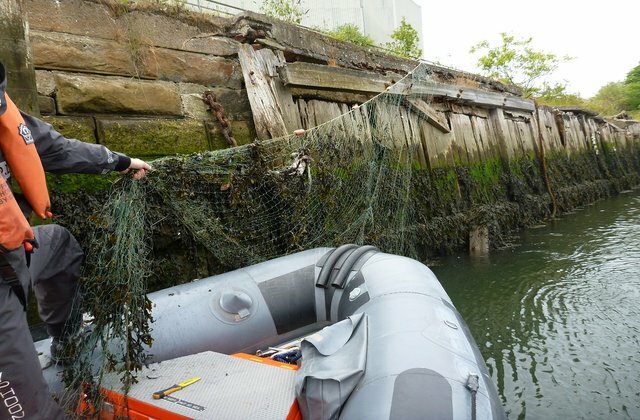 Fisheries enforcement officers are visiting food businesses to check coolers, freezers and fish storage facilities as well as giving advice on how to spot wild salmon and sea trout that have been caught illegally. Bailiffs are also patrolling rivers and coastal areas, overtly and covertly, to target illegal fishing. It is an offence to sell untagged wild fish. I am certain that the work I and my colleagues have done on deterring poaching has made a big difference to salmon stocks in the region. We don’t just focus on salmon though. The trout fishing season starts in March and the coarse fishing season starts in June. We spend a lot of effort between March and June making sure that people are not fishing during the coarse fish close season which is there to protect spawning fish. Every year we catch people who are risking damaging fish stocks. The same is unfortunately true at the end of the year from October when we often catch people trying to take salmon and sea trout illegally from the spawning tributaries which will have a dramatic effect on numbers. The biggest fishery for wild salmon and sea trout operates off the North East coast and we regulate the efforts of these netsmen very closely to ensure they do not jeopardise fish stocks. Between April and August we carry out coastal patrols and regularly go out to sea to check that their nets are constructed and being fished according to the byelaws. A really important part of the job is checking licences though. I enjoy getting out on the river bank and meeting anglers but it’s a shame that there are still people who try to cheat their fellow anglers by not buying a licence. I have heard all sorts of ridiculous excuses from ‘my wife always buys it’, to ‘I own the water’. But ultimately it’s their responsibility to make sure they have got one. You can buy your licence online. Despite the cold and wet I think the most enjoyable times were those nights spent with the team, on the river bank, catching the serious salmon poachers who were stopping our rivers developing and improving. Then seeing the case through to trial and securing a prosecution. Hi, please can you call our national incident team on:0800 80 70 60 and they can take more details from you. The Angling Trust have a volunteer bailiff scheme: http://www.anglingtrust.net/page.asp?section=1466&sectionTitle=Voluntary+Bailiff+Service - sorry it took some time to get back to you - we approached national team.